Introducing Our Most Recent Award Winning Bathroom Remodel! — Welcome to Project Guru Designs. Winner - 2018 Regional Best Bath Remodel over $75,000! Here at Project Guru, we are always delighted to partner with highly skilled, professional contractors to offer clients a full service, design to delivery design-build experience. And while every project is uniquely satisfying, sometimes one will come along that not just transforms a client space, but also their quality of life. One such project was recently recognized by Chrysalis Awards for Remodeling Excellence, winning the 2018 Regional Best Bath Remodel over $75,000 - Team Award. The homeowner was widowed and looking for a space that provided a uplifting sense of peace and sanctuary, an in home retreat. Her existing floor plan no longer worked for her needs, with two small bathrooms and a spare bedroom rarely used. 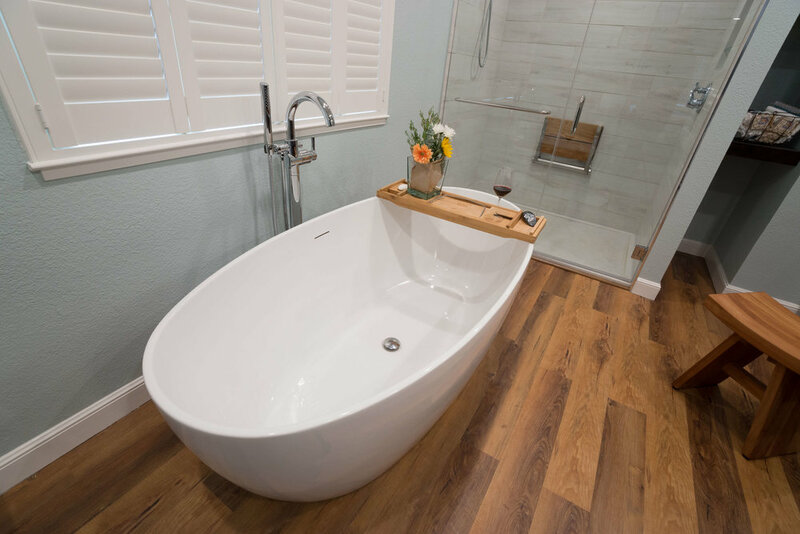 Contractor Fred Chapman of DreamMaker Bath and Kitchen Bay Area brought Johanne on board to partner on the design solution, and working closely with the client, mapped out a variety of possible options. Once they had assessed the existing floor plan and layout, they decided on a light, elegant airy design that transformed two barely used bathrooms into a spacious closet, and a neglected bedroom into a new, spa-like bathroom. Luxury vinyl flooring adds warmth and practicality, blue walls add serenity. Storage space was expanded with large storage cabinets on both ends of the marble countertop. The homeowner loves her luxury bathtub with a sliding shelf for a glass and candle, letting her relax and unwind at the end of the day. 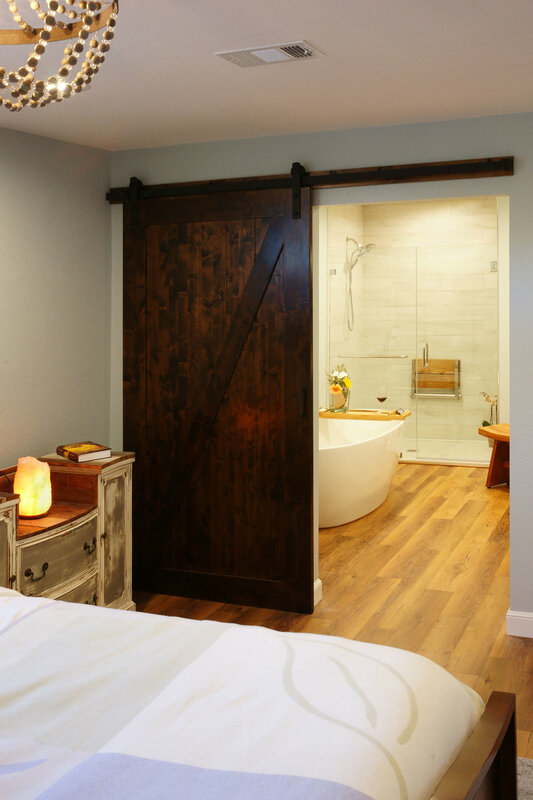 Details like the reclaimed door to the bedroom, pendant light over the counter and sliding barn door add interest and originality to the space, while the folding shower seat, ample storage and low entry threshold shower gives sustainable practicality. The 'before' images below demonstrate clearly just how cramped the existing spaces were. 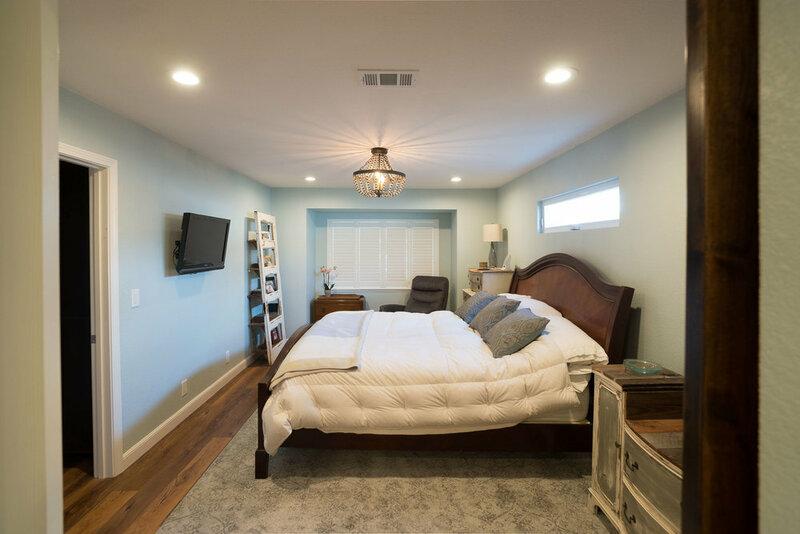 The client have very little storage in both bathrooms and master bedroom, meaning that she had to rely on temporary storage solutions. to keep everything organized. 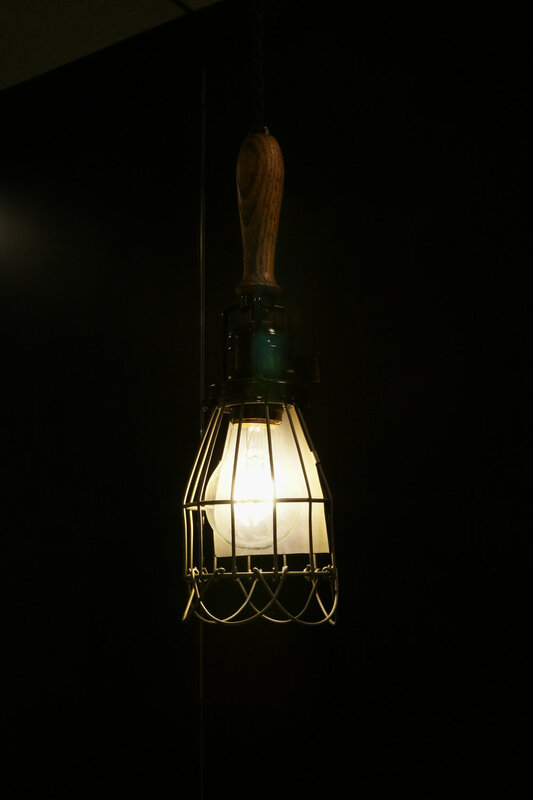 This meant that everything was visible, making the space seem cluttered and far from the serene, spa like feel that she wanted! One of Johanne's true gifts is her ability to 'see through walls' and completely reimagine rooms into spaces that let clients live their best life. In this design, the 1950's era bathrooms became a modern, streamlined closet with ample storage space to match the client's lifestyle. An unused bedroom was transformed into the spacious, elegant and light-filled bathroom you can see below, again with plenty of storage. We've added plenty of photos below so you can enjoy the full experience! Spa tub with freestanding faucet and handheld shower. Custom shutters complete the clean, uncluttered look. Undermount sink, marble counter, expansive dark wood cabinets and rustic backsplash combine warmth, practicality and elegance. Design detail: Recessed shower niche tile echoes the vanity backsplash. 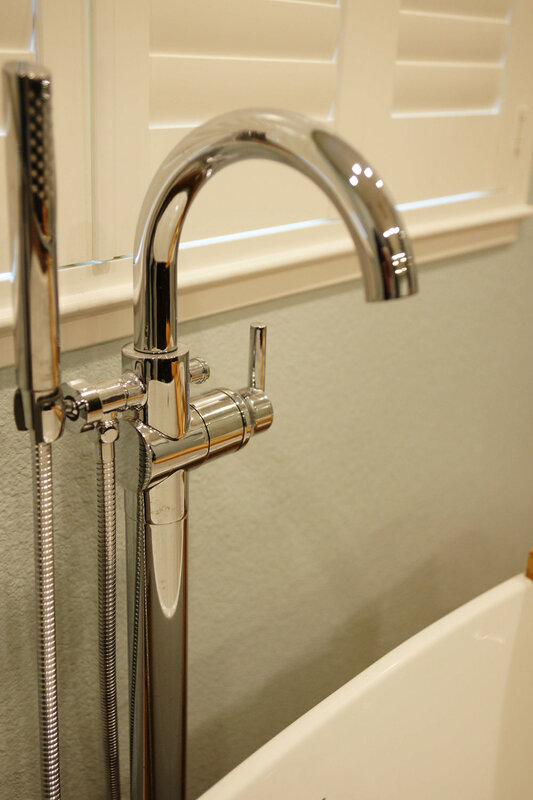 Design detail: Freestanding tub faucet with hand shower. An oasis of calm - the new bedroom decor brings space to breathe and relax at the end of the day.